HMT, the iconic watch brand that was a sought-after gift till the nineties, will no longer keep time to the nation. Last week, the Department of Heavy Industries & Public Enterprises decided to wind down the company that had been making losses for over a decade. 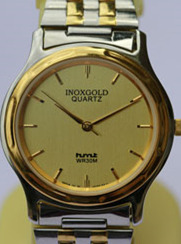 It is a widely known fact that HMT lost out to quartz watches. But few know that its failure was its own doing. HMT, which partnered with watchmaker Citizen of Japan, to start manufacturing in 1961, was in fact, the first to introduce quartz watches in India in the 1970s, under the sub-brands Sona and Vijay. But then it was ahead of time and consumers did not take to a high-priced watches. HMT soon went back to focus on mechanical watches. Even after Titan, Tata's watch-making division, introduced quartz watches in 1987, HMT's senior management went ahead with plans to open more mechanical-watch manufacturing plants. "HMT had all the right ingredients to succeed. It had outstanding engineers who knew the art of watch-making, possessed good technology, retail network, servicing and distribution. It just had to redefine itself to come out of the glut," says Bhaskar Bhat, Titan's managing director, who says he learnt a lesson or two on watch-making from HMT's engineers who had joined Titan. Much like the resurrected motorcycle brand, Royal Enfield, HMT, too, could have repositioned itself as India's 'classic watch manufacturer', feel experts, to endear itself to today's mature and older consumers. After all, many generations still remember the HMT watch they got as a farewell gift at their office, from parents when they did well in exams or as a wedding gift. Bhat reminisces that people had to wait for days to buy HMT models like Asha and Kanchan. Till 1991, HMT ruled the Indian watch market with almost 90 per cent market share for three decades, with the tagline of 'Desh ki Dhadkan'. As the economy opened up, HMT's complacency was laid bare. Imported watches and Indian watch-makers flooded the market from the nineties. Bhat says HMT failed to understand that "a watch was no longer a time-keeping machine. It was becoming a fashion accessory for both men and women. Consumers wanted a well-designed product to match their style. Aesthetics play an important role in marketing". The Tata group company, in a span of four years, became the leading watch manufacturer. Pavan Padaki, director (insights & strategy), Brand-Comm, a brand consultancy, says, "HMT got associated as a reputed but chunky mechanical watch manufacturer. Titan, on the other hand, got recognised as 'Today's watch manufacturer', with sleek watch models. "HMT's quartz range had like-to-like watches with Titan but the brand association of a quartz watch manufacturer eluded it, and it continued to be known as an old watch maker." Even when HMT attempted to prop up its image with campaigns for brand new watch models, there were reports that the models advertised would be in short supply at stores. It was manufacturing, again, which tripped it up financially. Former CMD N Ramanujan says, "Everything was going smoothly for HMT, which was a public-sector jewel, till 1989-90. "It went into losses when production at its Srinagar factory stopped. It had to face working capital shortage as it had to feed around 500 employees without any production. "This led to its downfall." The government did not accept the turnaround plan he proposed. HMT continued to accumulate lossed. The net losses for 2013-14 stood at Rs 233.08 crore (Rs 2.33 billion), compared to Rs 242.47 crore (Rs 2.42 billion) in the previous year. The paucity of working capital, erosion of trade channel and high cost of borrowings affected it the worst. The annual wage bill of the company stood at Rs 35-40 crore (Rs 350-400 million). Goodbye HMT, shall miss you in good times!